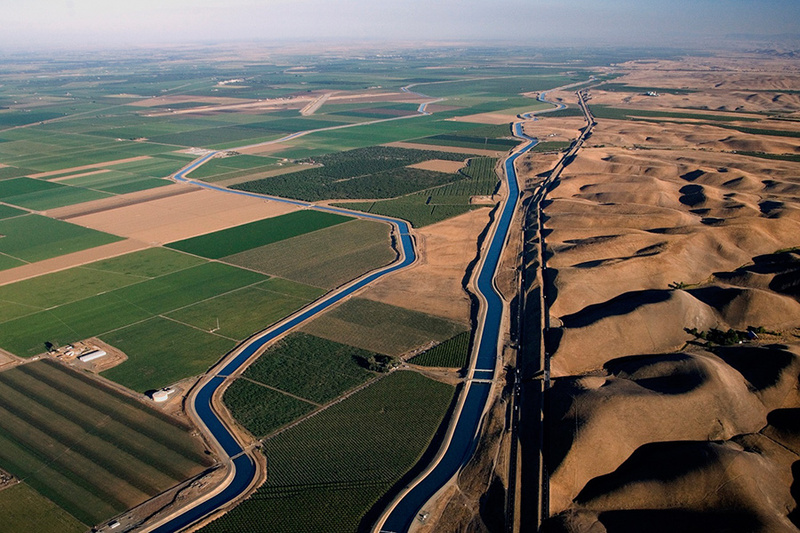 An artificial water highway: California, known as the country’s fruit basket, has a highly engineered water system with numerous aqueducts that deliver precious water to the state’s farms, cities and industry. See how much difference irrigation makes? As California staggers through its worst drought in a century, wildlife is dying in parched streams and wetlands. Cities are cutting back consumption; farm fields and orchards are dying or dead, and more than 17,000 jobs have been lost, largely in farming. Record low snowpack in the Sierra Nevada this spring caused Governor Jerry Brown to institute harsh new residential water controls. Agriculture is already reeling from water restrictions. And still the rains hold off. Is this climate change in action? Perhaps, say a group of California scientists. But in a new commentary in Nature they say the real cause is visible in the mirror. "When such an extreme event happens, one of the most common questions is, 'What is the role of human caused climate change?'. A question that is less often asked is about the impact of human demand in causing water stress in the first place," says first author Amir AghaKouchak. "Satisfying social and environmental water demand is challenging because of the growth in population, agriculture and industry." AghaKouchak is assistant professor at the Center for Hydrology & Remote Sensing at the University of California, Irvine. Climate change, he says, is likely to have more impact in the future, "but what we call anthropogenic stress is happening now. Wet years will return, but our demand is so high that we are almost at the border of what is possible, so we could very quickly go back to this water stress situation." 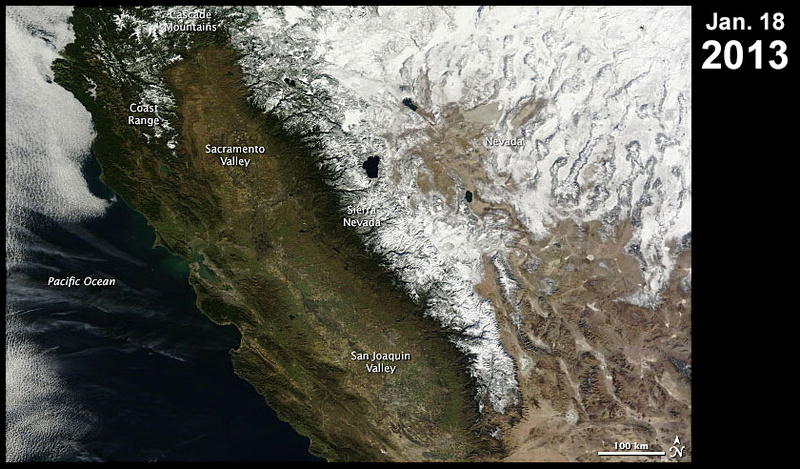 While the total link between global warming and the California drought is debated, warm weather can severely restrict winter snowpack. In warmer winters, precipitation tends to fall as rain, reducing the large water reserve locked in snow's frozen reservoir. Because most of California’s precipitation falls in winter, snowpack that slowly releases meltwater into the state’s rivers and streams in spring is needed for agriculture and cities alike. Nearly a year’s worth of snowpack was missing during winter, 2014, as you can see by mousing over the satellite image from January 2013. Policy makers and managers know the issues, "but implementing some changes is not easy," says AghaKouchak. "They require political will and a strong push from stakeholders, communities, managers, and they take a long time." 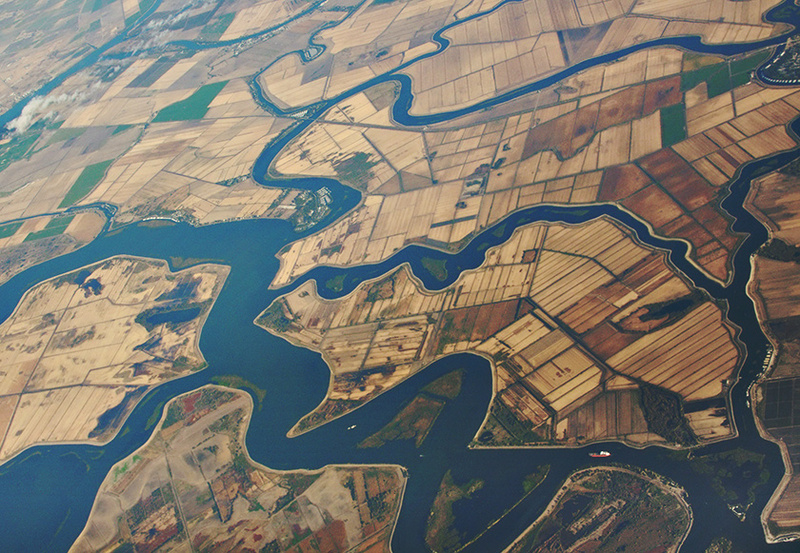 The tangled network of rivers and streams in the Sacramento-San Joaquin river delta is home to many of California’s endangered fish and waterfowl. In 2012, recognizing the risk to the state’s endangered species, water diversions were reduced from the delta, meaning less water went to agriculture in the Central Valley. But the ongoing water shortage has congress already reviewing a bill to roll back these regulations. Australia's Millennium drought, lasting from 1997 to 2009, offers lessons for coping, AghaKouchak says. One is to "make sure the environment can survive after a drought. We need solid, well designed environmental water entitlements under different stress conditions," that show the quantity and location of water available to important streams and wetlands -- the biodiversity center in a dry landscape. AghaKouchak adds that California also could benefit from a "water market" that, like Australia's, "allows all sectors, all users, to buy and sell water efficiently and quickly." Such a market should stimulate "more economically meaningful use of water in the long term." Northern China suffers from a chronic and severe water shortage, has opted for California's historic solution: Pour concrete to store and move water from wet areas to dry ones. "They are doing what we did a long time ago," says AghaKouchak. "A city like Los Angeles would not be possible without water transfer, but we know from research that water transfer creates more competition… between industry, agriculture and housing … and has a serious, long-term environmental impact." Water from Owens Valley, California, scene of the California Water Wars, and subject of the movie Chinatown, was diverted to Los Angeles a century ago, depriving farmers and wildlife of essential water. Smarter water management would benefit from a better rainfall predictions six to nine months out, which is certainly a "big ask." Scientists can also focus more on the details, AghaKouchak adds. "A lot of drought is really local; you can have a small town running out of water, but another, 50 miles away, may not have that problem." If the debate over climate change is political, so is the debate about current water policies and development strategies. "These issues are becoming more and more political," AghaKouchak says. California’s water-use restrictions disproportionately impinge on rural communities, with many farmers abandoning fields, laying off workers or relocating to more manageable climates. 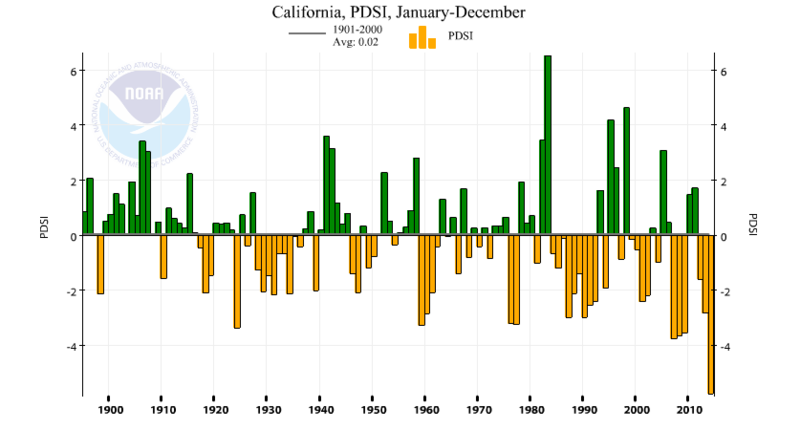 California is in year four of the worst drought in more than a century of measurement. Here's cold comfort: Climate historians see evidence of megadroughts that lasted centuries (rollover). 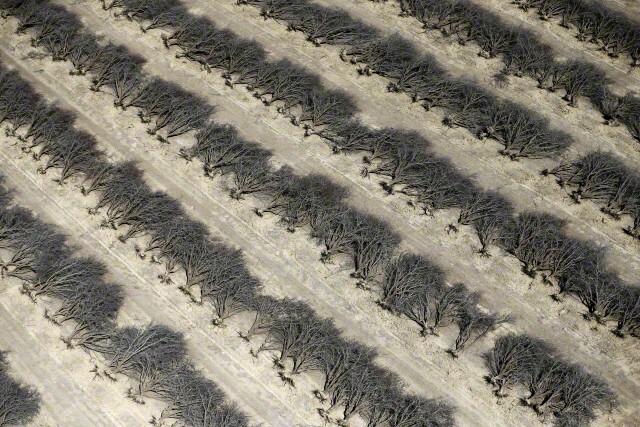 A field of dead almond trees in Coalinga in the Central Valley, California, United States May 6, 2015. Almonds, a major crop in California, use up some 10 percent of the state's water, according to some estimates. 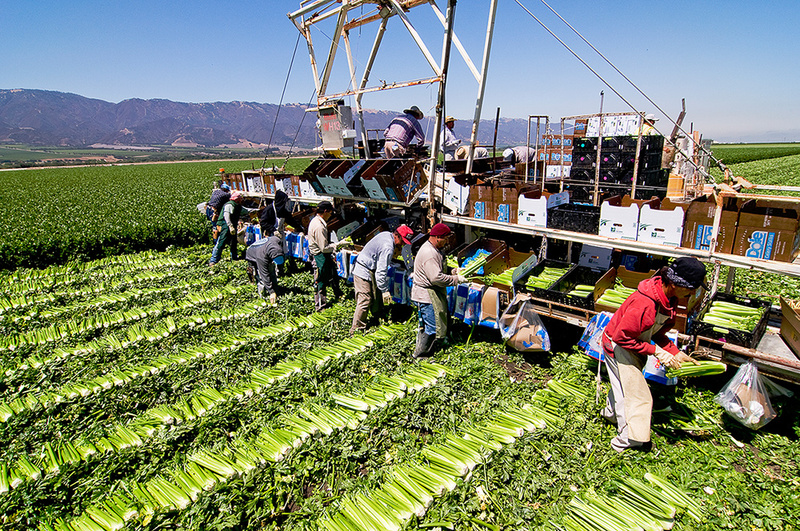 Agriculture uses about 80 percent of California's water, but "it's not a simple issue," AghaKouchak says. "It's a huge employer. If it downsizes, there will be a significant social impact; a lot of poor communities rely on agriculture." But agriculture has changed through California's history, and further change is likely as the aqueducts dry up. "We hope it will be more efficient, using better technology, precision irrigation," and high-value crops with less thirst, AghaKouchak says. "Most water in California agriculture is used for low value crops," with alfalfa the single largest drinker. We worried that the ecosystem would take the back seat in all the rearranging of water distribution. "Exactly, that a key point of our article," AghaKouchak says. "The environment is always the underdog, the sector that gets the hit. Reports by the Environmental Protection Agency and California Fish and Wildlife show that it is suffering the most. Tree are dying, and there are fires all over the West Coast." Blaming a drought on human activity seems jarring at first, but the author's point, AghaKouchak says, is this: "Even if the climate does not change, because of increased demand, California will end up in a situation of continued drought." State of the rivers: Ruinous?